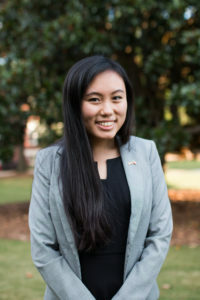 Amy Pan is a junior at the University of Georgia studying Political Science with minors in English and Communication Studies. She is a member of the Honors College, the Undergraduate Mock Trial Team, and the Student Government Association. She is also a part of the Georgia Political Review and is a Head Mentor for the Thomas Lay Afterschool Program. This summer she will be interning with the Lawyers’ Committee for Civil Rights Under Law in Washington, D.C.